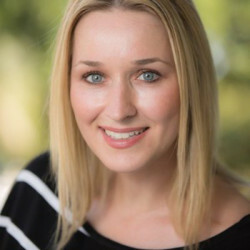 Over the past decade as the founder and President of KLAS Products, Kristin developed promotional products distributor channels as well as direct customer sales. As a graduate of the Annenberg School of Journalism at the University of So. California, USC, and with her ongoing business success point to a future growth in CODAmeds™ sales goals with realistic, optimistic end-results. Within her well established distributor and customer base of companies or organizations, Kristin’s CODAmeds™ marketing plan introduces our revolutionary, new CODAmeds™ Dispenser program. Available to both sales channels, CODAmeds™ Dispensers are sold to companies, organizations, individuals, end-consumers or offered as promotional incentive premiums–a balanced market mix. Everyone at CODAmeds™ are working hard to earn your business and trust, the orders are how we know and keep score. The ultimate sales goal for any company is to maximize sales and profits, we really get that idea; but at CODAmeds™ our real bottom-line says volumes about our corporate mission: Circle of Health – It’s about You™ for patients, physicians, providers and partners.